First of all, I’d like to welcome all the new folks who found me over the weekend from Lizzie’s Tips For Everyday Living! So glad you’ve found all the deliciousness on Bakerlady. Thank you for your many kind comments and for sharing your memories of Banana Pudding with me. You made my weekend full of joy. I love new friends. You guys helped push my little blog over a million all time hits on Saturday. I’m amazed by all of your willingness to put up with my ramblings. I have the best readers ever! Ok, enough sappy love fest-ness. On to some deliciousness. Not gonna lie. I’m a pushover for the Kraft mac n’ cheese. I’m a total foodie, so it’s a little embarrassing to admit, but it’s true. I get a hankerin’ for it now and then and nothing else will do. Devastating fact of the week: my kids won’t eat it. I know. They are the most bizarre children ever. 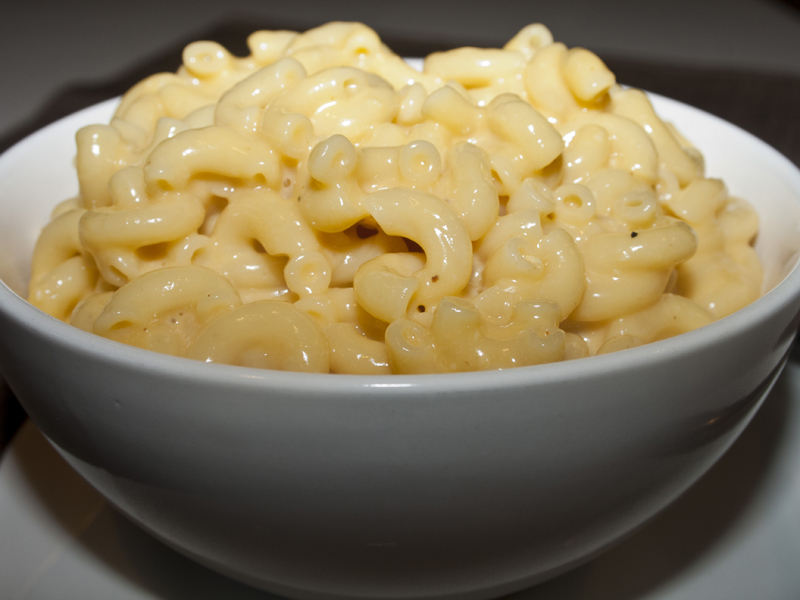 Madison had a severe dairy allergy from the time she was 1 until she turned three and blessedly grew out of it, so macaroni and cheese was not something she ever ate. I tried making a dairy free, soy cheese version once. Yeah. Just once. A single gag inducing bite later and the whole pot was in the trash. When she suddenly was fine with dairy again, I celebrated by doing a happy dance, then melting butter into powdery orange cheese from the blue box. Alas, she wouldn’t eat it. I was heartbroken.